Posted bynosolosw	 2 July, 2011 18 February, 2017 Leave a comment on Hi osgeoers! Well, as for someone who is new in the community, I think it feels right to introduce myself. 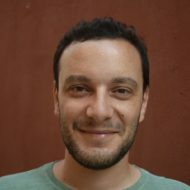 My name is Andrés Maneiro and I work as a GIS programmer for iCarto, a firm specialized in GIS based in A Coruña (see nice pictures here). As a training background I’ve got a Master on Free software at UJRC and a Master on Geographical Information Systems at UdG, one of the members of UNIGIS international network (well, still hard-studying to become an unigis graduate). My day to day with FOSS4G involves hacking with desktop and web technologies. I am one of the core developers of NavTable (a gvSIG extension which has changed totally how we visualize and manage gis data! :D) and I’m the leader of NavTableForms (a library to easily build your own personalized survey forms for gvSIG). I usually send patches and collaborate with gvSIG development. Lately, I have been involved in projects related to European SDI for spanish administrations using the usual suspects at FOSS4G webstack and poking around the mailinglists and bugtrackers. My community involvevement ranges from participating in the osgeo local group activities, collaborating with Engineering Withouth Borders (mainly in the past, though) or being part of the GHANDALF founders (a volunteer-based asociation to spread the use and word of free software in my region). Also in my free time, I have led a group of 12 people to translate in a collaborative way a book by Karl Fogel about how to manage free software projects (reflections on that, in spanish: I, II and III) and a study about Free Software GIS communities (article in spanish, slides) collaborating with Cartolab. Wow, that’s a bit of a context, doesn’t it? 🙂 Well, from time to time, you can expect some post from me going to the planet osgeo (RSS feed of the tag). Some of them will be in english (RSS feed); others in spanish (RSS feed). Osgeoers, keep the conversation going!